Though most of us would hate to admit, we do indulge in a lot of promiscuous behavior. Promiscuity in humans is not limited to one’s romantic partners, but also to everything that we claim we are loyal to. In fact, we may claim to be loyal to Pepsi, but end up drinking Coke on certain occasions. So now you know, I am trying to hint at the promiscuous nature that gamers indulge in, who sometimes even have two different consoles with them one for the PS3, the other for the Xbox and the other for Wii perhaps. If you are the kind of person who uses a PS3 and an Xbox 360, you might be interested in a singular controller that lets you switch between the two consoles effortlessly and use the same buttons that your fingers have gotten used to. 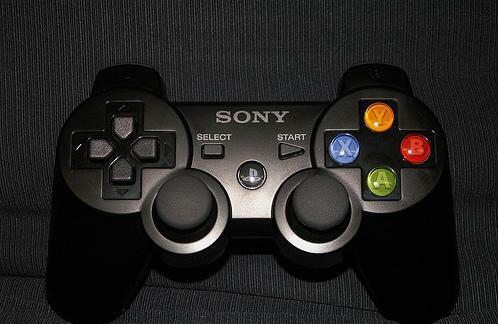 NerdMeech has uploaded the picture of a supposed PS3 Dual Controller Mod that lets you use the Xbox 360 as well. The buttons indicate that you could initially choose which console you are going to play with, and then continue to use the controller effortlessly. Unfortunately, no information is given about the controller and it just seems to be a 3D rendition of a supposed concept. Nevertheless, it is a profound idea, and would meet with appreciation from a lot of promiscuous gamers. You could also check out other Mods like the PS3 and Xbox 360 Dual Controller, the Portable PS3 Mod and the Sony PSP Camera Concept which I am sure did not reach the market either. where can i buy this???? ?